Suggested Serving 8 capsules (6000 mg) daily - Contains 25 servings. Our Raw Sundried Black Maca Capsules contain 100% pure Black Maca powder. All of our Maca powders are carefully and consciously grown, processed and handled. They come from an organic farming co-op near Junin, Peru, the traditional farming area for Maca. We work only with producers who own and manage their lands at a local grass roots level. The co-op of farmers is committed both to organic farming and to producing the highest quality Maca products available anywhere. We're very happy to support their work. Compare all of our Maca powders here. Using our organic capsules have unique benefits as compared to Maca powders. First, when using capsules it's easier to get an exact dosage. 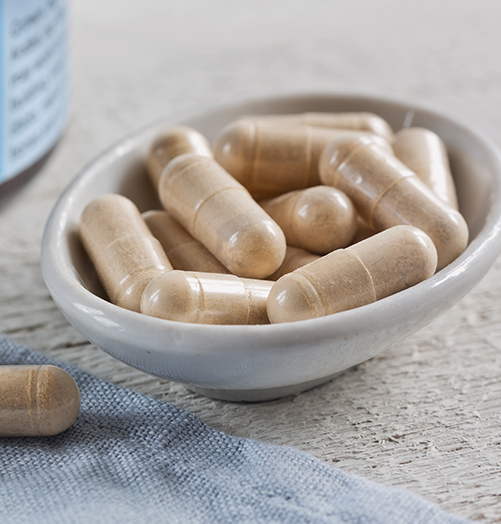 Second, for people who shy away from the taste of Maca, capsules are a great alternative. Finally, Maca capsules are particularly useful on the go. They are easy to take on business trips, when travelling, camping etc. We also offer Raw Sundried Black Maca in powder in three different sizes. We strive to offer the best deals possible on shipping and usually ship out USPS in North America. International orders ship out using USPS Global Priority Air Mail. You will receive a tracking number as soon as your order is shipped out - usually within 1 business day. (Complete shipping and return polciy). Save on Shipping when you order multiple products - shipping costs go up only slightly for each additional product. Easy to take, very pleasant taste. Capsule just right size. What is inside is wonderful. I've been using Maca for several years and over the last 4 found the Maca Team to have the purest and most effective brand of Macca. I was taking the pharmaceutical Synthroid for Hypothyroidism. Afyer much research, I found that taking Macca Root daily replaced that medication. I started using the Red Macca and tried the Yellow and Black. All work amazing! I take the Black now because my job is very physical and it helps with strengthening muscle. The maximum dosage is 6 capsules per day however I got the results I needed with healthy T3/T4 levels with 3 capsuls a day.